Excitedly, lil' ole me was invited to be interviewed by Kim Archer the fabulous Founder/Editor of this great magazine. My interview is in the 'Meet a Blogger' section so. If you haven't already had the pleasure of checking this magazine out you should I LOVE IT. It's such a beautifully designed online publication filled to the brim with amazing art, so I am just a little buzzed to be schmoozing with so much talent even if only in a virtual way he he. If you'd like to check out Issue #5, I totally recommend you grab yourself a cuppa and a handful of choccie biccies because seriously once you scoot over by clicking HERE you'll be all set to enjoy some very good reading and like I did... drool over an abundance of swoon worthy artworks! 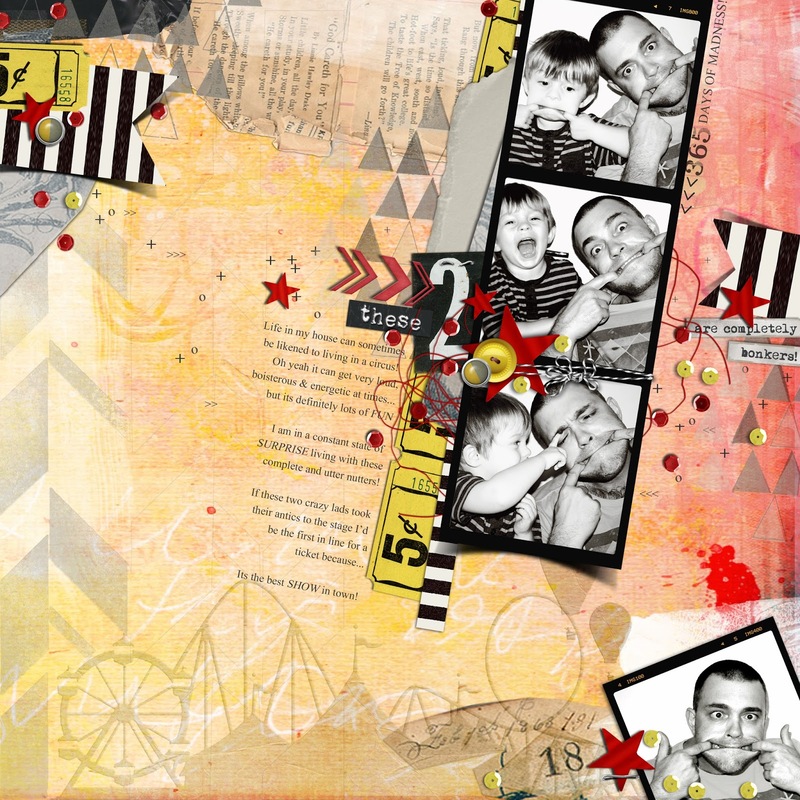 Here is a page I created for the Wood Veneer gallery. 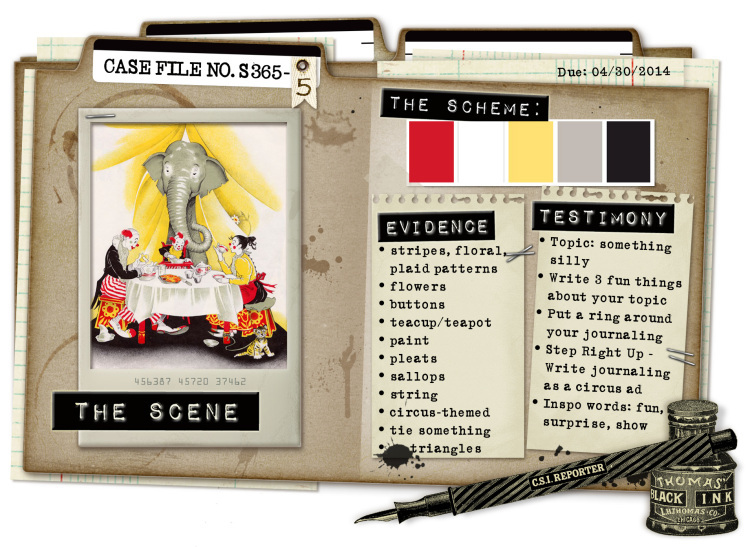 Lastly some other fun news...CSI and Scrap 365 Magazine have been collaborating on some casefiles for the last few months which has been lots of fun. ...I of course jumped at the opportunity to hang at my old stomping ground! Hope you get a chance to check out these mags they are always good reads! My gosh, you have been busy - congratulations!! Lovely pages, too.....I sooo adore your style - & the 'wood' one....YUM!!! Fantastic pages - really love the embossed stamp image for a background. Congratulations on all your showcasing work. SO well deserved. These are amazing, really continue to blow me away with your creations! Such fun photos too! Super, cool pages....love them all! Love the 2nd one especially...so love the design of the page! Wow Emma - these are all seriously amazing! Saw the first one in the mag and loved it! I think that maybe the third is my fave but it's a tough call. 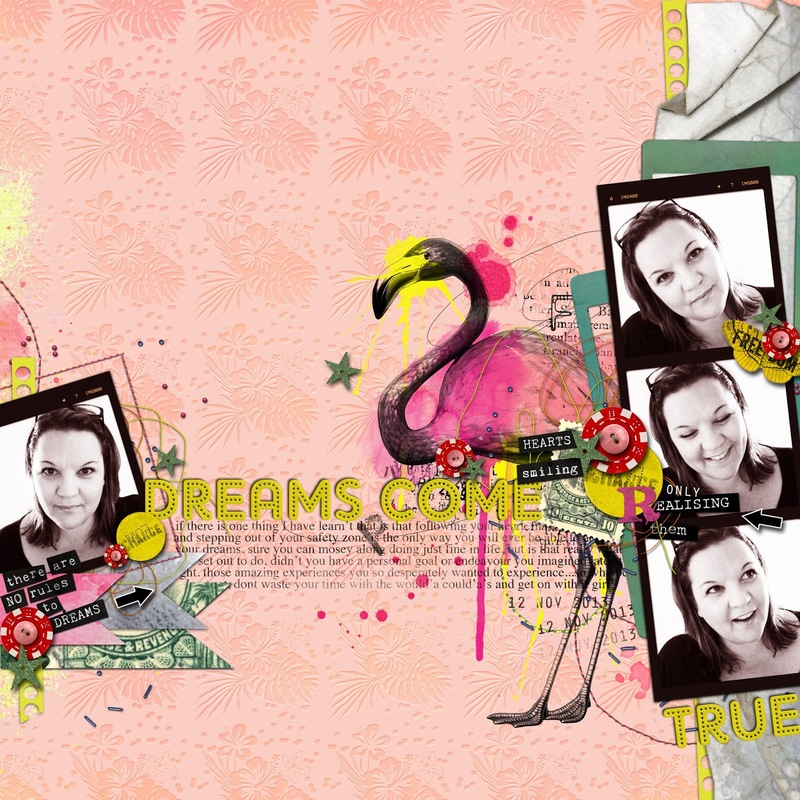 Love the bright and funky feel to your pages. What awesome layouts Em!!!! I adore these!